There will be two backplate modules upon reelase, but Land Rover will be expanding the module roster in the future. The Explore comes with off-road maps from ViewRanger and is powered by a 2.6 GHz deca-core MediaTek Helio X27 SoC coupled with 4 GB of RAM / 64 GB of storage. 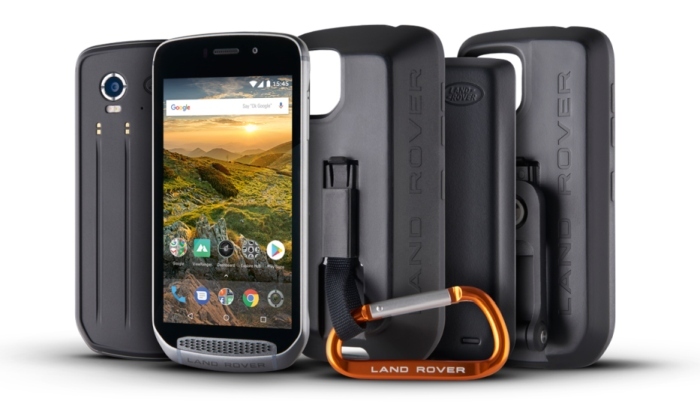 Well-known car maker Land Rover is trying its hand at mobile devices with the new Explore smartphone. The phone is actually built by UK company Bullitt, while funding and branding is handled by Land Rover. What sets the Explore model apart from other mainstream devices is the rugged casing, the modular backplates that offer various customization options, and the detailed off-road maps from ViewRanger. As far as ruggedness is concerned, the Explore can take drops from up to 6 feet and offers IP68 splash / water / dust resistance, as well as a factory fitted screen protector on top of the Gorilla Glass 5 sheet. Land Rover opted for a 2.6 GHz MediaTek Helio X27 SoC with 10 cores coupled with 4 GB of RAM and 64 Gb of internal storage (microSD expansion module included). The 5-inch screen comes with FHD resolution plus outdoor use optimization, and the camera setup includes a 16 MP rear camera with 4X zoom and an 8 MP front camera. Apart from the usual networking features, the Explore also comes with dual SIM support and an LTE Cat 6 modem. Battery-wise, there are several options linked to the modular backplate aspect. The default option includes a 4,000 mAh battery, but users can also choose from two more modules: the Adventure Pack that offers a 3.600 mAh battery with an improved GPS antenna, and the Bike Pack that integrates a 4,370 mAh battery with a handlebar mount. Land Rover claims that the module roster will be extended with new options in the future. The Explore will run Android 7.0 out of the box, but Land Rover promises the availability of the 8.0 update post release. Land Rover will begin shipping the Explore in April with prices starting at US$800.